Celebrating 23 Years In Westfield!!! Our Karate program will help you raise a safer, happier, heathier child. I understand how hard it is to raise children these days. There are many things to worry about – bullying, pressure to use drugs and alcohol, and exposure to adult images in the media and on the internet just to name a few. These challenges can be overwhelming to children. While it is nearly impossible to shield your children from these and other negative influences there is something you can do to help them deal with the challenges they may face. Karate training is one of the most beneficial activities in which your children can participate. Karate can help your children learn the importance of respect, gain the confidence to protect themselves, help them to say “no” to peer pressure, and encourage them to get in shape. Our karate school offers a safe, fun environment in which to learn all these skills and much more. Every year, parents like you enroll their children in our karate program and every year those children reap the rewards that our properly instructed karate programs provide. Some life-skills and benefits you can expect your children to receive include more confidence, increased focus and discipline, better self-control, encouragement and rewards for good behavior, positive role models, and a caring community. Confidence – By learning how to protect themselves, your children will develop confidence in their ability handle life’s challenges. In turn, their improved confidence can give them the courage to say “no” to drugs, alcohol and negative social media influences. Focus and Discipline – By giving your children clear goals in our karate program and showing them how to reach those goals through hard work and consistent behavior, your children will increase their focus and discipline. Children in our program are also given clear expectations of how to behave at the karate school and this learned behavior can be seen at home and at school as well. Self-Control – By learning the importance of respecting themselves and others, your children will gain self-control. Karate training teaches that in order to get respect you must first give it. Once they learn this valuable lesson, their self-control will naturally increase. Encouragement and Rewards – By participating in a built-in reward system that karate provides, your children will be encouraged to act in a positive manner, to listen well, to show respect, and to learn the material in order to progress to each new belt, ultimately obtaining the best reward – a black belt!! Positive Role Models – By interacting regularly with our expert staff of karate instructors, your children will have some of the best role models possible to look up to and emulate. Experience has shown us that children respond to our karate teachers in a way that no other coach or instructor can match. Because of this, we work hard to set a positive example for your children by living the karate principles of honesty, integrity, courage, kindness, and self-control. Children are hard-wired to seek attention and approval. And when they see positive behaviors demonstrated by our instructors, they are strongly driven to display those same behaviors in their own actions. Caring Community – By being part of a caring group of instructors, staff, and fellow students, your children will reap the benefits of exceptional role models, friends with similar goals and values, and a community of support and encouragement. We truly are a family here at Westfield Family Karate. 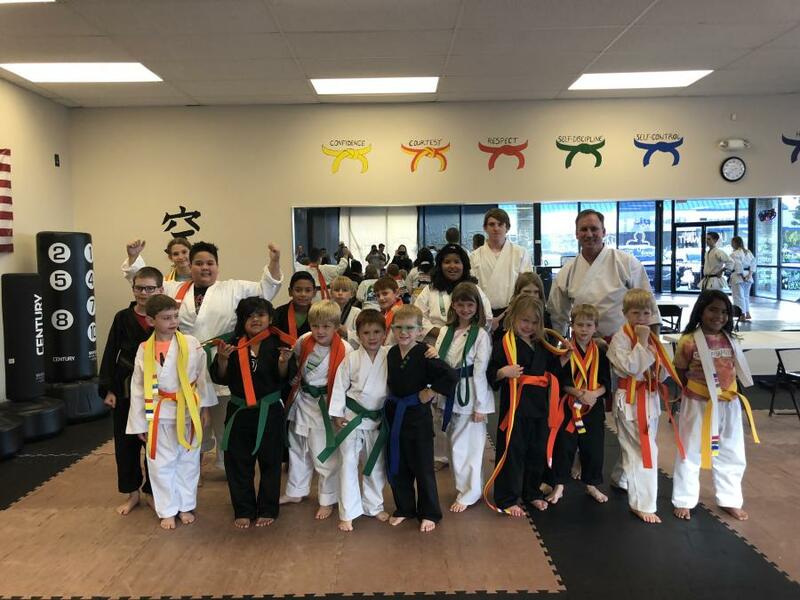 Our classes and the community that the karate school provides is the perfect environment for your children to grow and develop into safe, happy, healthy adults. But don’t take my word for it, come see for yourself. Come visit our karate school, observe the classes, and give our FREE trial a chance. While you’re here, talk to the other parents. When you do, you’ll hear story after story of how our programs have helped their children improve their behavior and achieve greater success. Parents share these stories with us all the time, and we are very proud to play a role in improving their children’s lives. Imagine what a difference our karate program will make in your own children’s lives. To find out more or get started now, simply call me at (317)771-6177. I am more than happy to answer any questions you might have and to get your child signed up to try our beginner classes. I look forward to meeting you and helping your children to succeed. Jason A. says: "You will NOT regret giving this Dojo a try, it is absolutely the best around!" Amie S. says: "Every experience we have had with this dojo has been positive, and my son has increased in focus and discipline, as well as karate itself." Lynn I. says: "Westfield Family Karate lives up to its name-it is like family! And, the people at Westfield Family Karate have become a part of my family!" E H. says: "We love Westfield Family Karate! My kids have learned so much at this establishment and have gained an amazing amount of confidence. It is a very welcoming and professional atmosphere." Terry Lynn Hutt says: "My granddaughter Abigail has been a student at Westfield Family Karate since February and has learned a great deal. David, the owner and the other instructors are awesome and really want the kids to learn and grow. They teach much more than punches and kicks and I would recommend the school to anyone - children and adults.